Posted on December 20, 2017 at 9:29 am. Every week, Mucho Vegas, one of our top-rated casino sites, celebrates the launch of a new online slot game by giving players 20 free spins to use on the selected title. 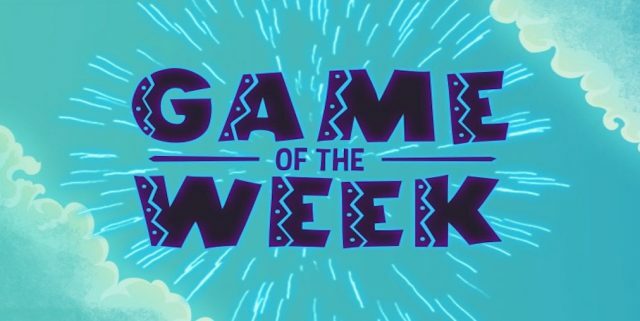 From December 18-22, Mucho’s Game of the Week goes to Star Cash, an online slot game from software provider GameArt. Star Cash is a 10 payline slot featuring iconic slot symbols like gold bars and lucky sevens, along with different currency symbols from around the globe. The star shaped compass acts as the games wild symbol, which appears on reels two, three and four only and can expand to trigger the re-spin feature. It’s a fairly basic game, but will appeal to players who prefer the classic style slots. Available for instant-play, no downloads are needed to access Star Cash, and it’s also available for free play so you can always try it out before committing to play for real money. To claim your free spins, you need to play Star Cash for real money between Monday and Friday of the promo period, wagering a minimum of €/$100 on the game to qualify. Once that’s done, Mucho Vegas will credit your account with 20 free spins on Saturday. There are no wagering requirements attached to these free spins, which means any winnings you make from free spins don’t need to be wagered before funds can be withdrawn, although you will need to play-through the minimum €/$100 deposit before initiating a withdrawal. Other terms and conditions apply – we strongly recommend you read the fine print at MuchoVegas.com to ensure you meet the bonus conditions before you make your deposit. Mucho Vegas welcomes new players with an alluring sign-up bonus of up to €/$1500 in matched deposit bonuses and 150 free spins spread over your first seven deposits with the casino, so if you’re not yet a member, register today to receive a 100% match up to €/$100 on your first deposit (wagering requirements apply). Along with Star Cash, Mucho Vegas offers hundreds of online slots and table games from leading game studios including Betsoft, iSoftBet, 1X2 Gaming, Oryx, Pragmatic Play and Evolution Gaming, so there’s plenty of exciting content to keep you entertained if Star Cash isn’t up your alley. To learn more about what Mucho Vegas has to offer, read our detailed review of the site. If you’re new to real money gaming, read our Mucho Vegas deposits guide to learn how to fund your account with safe payment methods, including credit cards, web wallets, pre-paid cards and bank transfers.